Dana Venrick (above) a career State of Florida Agriculture Specialist and a Master Gardener, has been using Biowash since 2013. 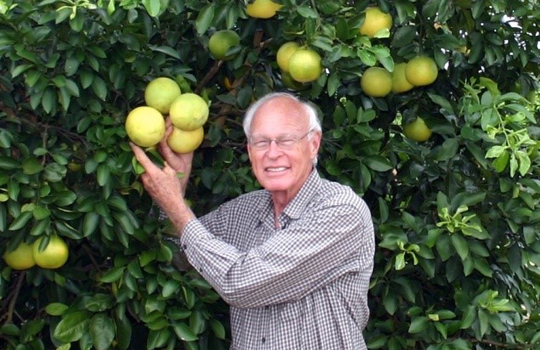 Venrick uses a combination of BioWash and prescribed plant and soil nutrition to grow great citrus plants. Dana’s work is just one shining example of the efficacy of BioWash. As the news about this amazing plant stimulant spreads, the number of people offering us feedback also increases. We now receive comments from growers all over the world. Whether a backyard gardener or a commercial grower; a small farmer or golf course grounds-keepers; all are impressed. Want to be featured as a satisfied user? Just send us a short description of your success! If you would like your pictures featured, send us a good resolution digital photo (both before and after is optimal. You will , of course, get full photo credit.